In 1915, the Near East Foundation (NEF) was founded in urgent response to the Armenian Genocide. During a historic relief effort in the years that followed, NEF saved the lives of over 1,000,000 refugees, and in the process established the tradition of “citizen philanthropy” – a model used today by a majority of non-profit organizations around the world. Nearly 100 years later, peace and prosperity in Armenia remain at the heart of NEF’s mission. Long ago forced by the Soviet regime to leave our partner communities, NEF returned to Armenia after a 75-year hiatus. A new era of development work began in 2004 with a focus on improving the lives and future opportunities of street children. NEF efforts have since transitioned into helping revitalize communities to improve livelihoods among vulnerable groups, and to build a stronger economy that will create a brighter future for all Armenians. In 2007, NEF undertook an exploratory mission to identify opportunities to support rural economic development. Those initial efforts led to a strategic alliance with Business Pareta, the leading Armenian firm specializing in rural economic development, and Armenia Fund USA, one of the primary channels for philanthropic action among the Armenian Diaspora in the U.S. In 2009, this consortium initiated a collaborative effort to develop a model for local economic development combining micro-enterprise, micro-finance, and micro-franchising. This initiative draws on complementary areas of expertise and a common understanding of the importance and challenges of grassroots economic development for poverty reduction in rural Armenia. In 2013, NEF extended its focus to include the economic empowerment of vulnerable women. High rates of gender-based violence (GBV) and the persistence of conservative gendered norms at home and in the community violate women’s fundamental human rights and pose serious barriers to social cohesion and sustainable economic development in Armenia. Sixty-nine percent of Armenian women report being physically assaulted by an intimate partner—often times in the presence of children—at least once in their lives. Improving conditions for women requires both strengthening the capacities of civil society organizations (CSOs) that work with women at the community level and promoting survivor’s access to targeted economic opportunities at the individual level. 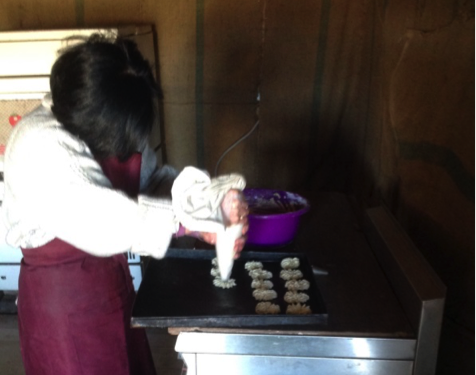 NEF’s current work in Armenia aims to help survivors of domestic violence become economically independent by starting their own businesses and securing employment. Marine’s story: How I made a profession out of my passion. Armenia ranks 102 out of 144 countries in gender equality (World Economic Forum Global Gender Gap Index 2016). Since 2006, when the World Economic Forum began tracking global progress on gender equality, Armenia’s ranking has steadily deteriorated, improving only slightly in the last year. Armenian civil society organisations (CSOs) experience limited financial sustainability and diversity and employ traditional business operations. Building on the relationships and achievements of prior NEF UK programming in Armenia, this two-year project aims to build the capacity of 12 local civil society organizations (CSOs) working toward gender equality and women’s economic empowerment in regions where this support is especially needed. Together with its implementing partner, Women’s Development Resource Centre Foundation, NEF UK will increase the sustainability of civil society in Armenia working on gender equality and women’s economic empowerment through supporting expansion and diversification of income sources for CSO's. NEF UK and the Women’s Development Resource Centre Foundation will help the CSOs diversify their funding sources and improve fundraising variety, build and enhance social enterprises in varied sectors (e.g. tourism, export-oriented handicrafts, cultural industries, “green” business industries), and encourage regular collaboration and joint-actions among CSOs as well as between CSOs and market and government actors. By the close of the project, 12 CSOs will have developed innovative business models and social enterprises to advance their advocacy and programmes in support of gender equality and women’s economic empowerment, and at least 10 will have established or upgraded a social enterprise as a result. The project will also promote EU-Armenia cooperation, and broaden awareness of EU support for Armenian civil society. High-rates of gender-based violence and the persistence of conservative gendered norms at home and in the community violate women’s fundamental human rights and pose serious barriers to social cohesion and sustainable economic development in Armenia. 69% of Armenian women report being physically assaulted by an intimate partner – often times in the presence of children – at least once in their lives (Amnesty International, 2008). Improving conditions for women requires both strengthening the capacities of CSOs that work with women at the community level and promoting survivor’s access to tailored economic opportunities at the individual level. NEF-UK partnered with Gegharkunik Chamber of Commerce (GCCI) to guide 237 GBV survivors as they enhanced their employability and small business skills, and pursued new income-generating opportunities that promoted independence and supported decent living conditions for themselves and their families. Seventy women received vocational training in various specializations, 127 launched small businesses with cash grant support, and 52 women found employment in the labor market. In parallel, the project built the capacity of four Armenian CSOs to deliver economic development programs that are supportive of gender equality, protective against GBV, and engaged the public, support groups, employers and other civil society and market actors in cross-sector joint actions, dialogue, and training around gender norms, safe workspaces, and protection strategies linked to economic opportunities. 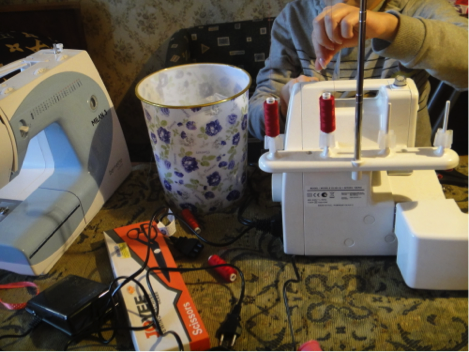 “The project has improved confidence and self-reliance among survivors of gender-based violence, providing women with safe options when making decisions that affect their family’s lives,” Arpine Baghdoyan, NEF UK’s country director in Armenia, explained. The Women’s Economic Empowerment and Advocacy initiative will provide women subjected to domestic violence with the skills, resources, and support networks needed to reach financial independence. These steps are essential to help women break the cycle of gender-based violence—a widespread problem in Armenia—and provide them with alternatives to returning to abusive environments. NEF will implement the project in partnership with the Tufenkian Foundation’s Women’s Support Center and Business Pareta, a leading Armenian economic development firm. The goal is to place 25 women in entry-level jobs and help create 25 microenterprises through small grants and microcredit. (2013 - 2015) Over an 18-month period, NEF collaborated with the Women’s Support Center (WSC) to provide training and ongoing support to survivors of domestic violence. Participants gained critical competencies and skills in entrepreneurship at business development trainings, and accessed emotional support and technical counsel through support GBV survivor networks established by the project. Post-training women survivors were either placed in entry-level job openings, or guided through the microenterprise development process, including steps for accessing credit through small grants mechanisms and micro-credit schemes. 55 women were trained, 15 businesses are now operating and 24 women are employed. Recent surveys administered 4 months after the end of the project show that 80% of participants have increased economic independence, and 90% have increased self-confidence and a more positive outlook about their future. A policy paper was drafted to highlight the project’s success in increasing the resilience of GBV survivors, and challenging social norms that sanction GBV as an acceptable form of interpersonal interaction. Our work is based on a conviction that, to play an active role in the development of their communities and countries, people need opportunities and tools: the knowledge to participate in civic and economic life, a voice in public decisions that affect their wellbeing, and a means of making a meaningful living. Nune* was emotionally and physically abused by her family for many years. She accepted the violence as a means to protect her family, because she was financially dependent on her husband. Searching for a way to help her family and herself she sought help from the Women's Development Resource Centre Foundation in Goris. They referred her to the Advancing Gender Equality and the Rights of Survivors of Gender-Based Violence (AGERS) program. This program provides vocational training and business and financial support to improve the economic independence of women. In 2015, Nune enrolled in AGERS’s business development stream. The training helped her to build self-confidence and learn how to develop a profitable business with a modest investment. With the support of the project team, Nune created a business plan for a tailoring business. Impressed by her ambition and comprehensive plan, the project team awarded Nune a grant so that she could purchase a sewing machine and other materials she needed to start her business. Now separated from her husband, Nune lives with her parents. There, she makes women's cloths and sells them at their house and in different stores in Yerevan. With the success her business has seen, Nune now makes enough of a profit to take care of herself and her family. To continue to grow her business, Nune is negotiating contracts with other stores in Yerevan and other nearby cities in Armenia. Over a two-year period, the European Union-financed AGERS program is guiding 200 gender-based violence (GBV) survivors as they enhance their employability and small business skills, and pursue new income-generating opportunities that promote independence and support decent living conditions for women and their families. In parallel, the program is working with four civil society organizations that already work with GBV survivors to improve their capacity to deliver economic development programs that are supportive of gender equality, protective against GBV and engage the public, support groups, employers and other civil society and market actors across many sectors in joint actions, dialogue, and training around norms, safe workspaces, and protection strategies linked to economic opportunities. *Her name has been changed to protect her identity. The Advancing Gender Equality and the Rights of the Survivors of Gender-Based Violence in Armenia (AGERS) project, funded by the European Union and implemented by the Near East Foundation UK (NEF UK) and Gegharkunik Chamber of Commerce and Industry (GCCI), brings positive change to the families of gender-based violence survivors. A woman survivor who participates in the project recently registered her business—a bistro—in Armenia’s capital city, Yerevan. Prior to joining the project, Anna*—a survivor of gender-based violence—worked as a talented baker at a local establishment for many years. Each day, she did her best to earn money for her boss, ensuring only the best, hand-made products made it onto the bakery’s shelves. Though she enjoyed her work, the low salary and long hours she worked at the bakery made her question whether she would do better to start her own business. Anna toyed with the idea for more than three years, but without start-up capital the likelihood that she could try and succeed at launching her own business seemed dim. Anna was referred to the AGERS project in June 2015, and was selected to participate in enterprise-track trainings one month later. 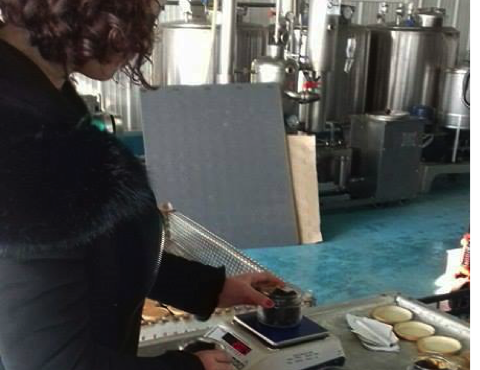 Over the course of the two-week class, she gradually came to realise that she could achieve her dream of opening a bistro with the support of Near East Foundation UK (NEF UK) and Gegharkunik Chamber of Commerce and Industry (GCCI). Through the project, Anna learned that her business model was high risk, and to be successful she would need to anticipate common challenges faced by restaurants and plan ahead to avoid them or minimise their impact. The project team helped Anna to register her business, conduct risk assessments, negotiate a rental space, and understand tax law. She used the small grant she was awarded through the project to stock her restaurant with tools and ingredients. To limit costs, Anna recruited her son Vardan* to contribute to the management of the bistro. Vardan had always struggled with health issues, but continued to work odd labour-intensive jobs to care for the family out of necessity. For Vardan, the bistro presented a welcome alternative to his then-physically-demanding line of work. Working together, Anna could focus on production while Vardan focused on advertising, sourcing fresh produce, and managing delivery logistics. Two months after receiving her grant, Anna earned enough of a profit to cover the restaurant’s fixed and variable costs. With business on the rise, her self-confidence continues to increase by leaps and bounds. * Her name has been changed to protect their identity. Hasmik*, a young woman with a small child, left her husband after being periodically abused. Without a means to support her child or herself, she moved back with her parents and contacted the Women’s Resource Centre (WRC) in Yerevan for help. To help her get back on her feet, WRC referred Hasmik to the EU-financed Advancing Gender Equality and the Rights of Survivors of Gender-based Violence in Armenia (AGERS) programme, which provides vocational training, and business and financial support to improve the economic independence of survivors of gender-based violence (GBV). The trainings helped Hasmik to become more confident and improved her decision-making ability, building her confidence in herself and her abilities. With the support of a job development trainer, Hasmik developed her resume, a career development plan, and learned how to interview for jobs. The project helped her conduct a job screening and apply to a number of jobs relevant to her skills-set and background. Her resume was sent to a number of employers in Yerevan and the surrounding regions. Soon, Hasmik was offered a job in a food factory as a quality manager. Her monthly salary is enough for her to rent a home, and take care of her child and herself without worry or relying on anyone else. Over a two-year period, the European Union-financed AGERS programme is guiding 200 GBV survivors as they enhance their employability and small business skills, and pursue new income-generating opportunities that promote independence and support decent living conditions for women and their families. In parallel, the programme is working with four civil society organisations that already work with GBV survivors to improve their capacity to deliver economic development programmes that are supportive of gender equality, protective against GBV and engage the public, support groups, employers and other civil society and market actors across many sectors in joint actions, dialogue, and training around norms, safe workspaces, and protection strategies linked to economic opportunities. The AGERS programme is funded by the European Union and implemented by the Near East Foundation UK in partner with the Gegharkunik Chamber of Commerce and Industry. Vahan Safaryan is a fish farmer in Sarukhan, Armenia. He began his business in 1999 with a small pool of trout. Vahan saw a gap in the market to provide “Sarukhan” fish, a type of fish that is highly sought-after in Yerevan and throughout Armenia. A few years ago, NEF with Gegharkunik Chamber of Commerce and Industry (GCCI) and Business Paretta helped Vahan with the financing of his growing business. Vahan needed more than just a few Dram to get his business to really flourish, however. GCCI provided business training, marketing training and market research training in our to facilitate Vahan's growing fish farm. NEF and GCCI also assisted in establishing agreements for the importation of fish food. Vahan’s business continues to grow. He currently grows sig, a kind of fish that used to be native to nearby Lake Sevan but is now endangered in Armenia (sig are still plentiful in Russian lakes). This year, he hopes to begin producing another breed, Ishkhan, a trout native to the region and very important to to the cultural and culinary heritage of the people of Armenia. Victr Badalyan loves his work. He is an expert beekeeper from Vardenik, a beautiful hilly village near Lake Sevan. He also has more than twenty years of keeping bees under his belt. Victr is not your average beekeeper. He uses his extensive education in mathematics to advance his business. He takes meticulous notes and manages every minute detail, from the temperatures during the day and night to the rotation of the queens in his hives. Armenia was hit as hard as any country by the global financial crisis of 2008. Real unemployment in rural areas of Armenia skyrocketed from an average of just over seven percent to more than twenty percent in a matter of months. Not one to retreat in the face of hard times, Victr sought help from NEF, Business Paretta, and the Gegharkunik Chamber of Commerce and Industry in nearby Gavar for business training, marketing training and a little microcredit bump to increase the number of his be colonies. He brought the number of his bee colonies up to one hundred in just a short amount of time. His hard work paid off and now he has a higher output than he’s ever had. His goal for the future is to grow his business to Australia, so he can keep bees all year long. There is a special program there he would like to be invited to attend to kickstart that dream. For now, though, he is happy with his business in the hills outside Vardenik, Armenia. When Victr needed some help to grow his harvests, NEF, GCCI and Business Paretta we more than willing partners for a man who works like Victr. With support from NEF’s Rural Armenia Economic Development project since Andranik Veranyan, recently completed the construction of a new dried fruit production facility. In his village, Ptghavan, in the northeastern province of Tavush, fruit production is a mainstay of the local economy. However, an estimated 60 percent spoils due to the villages remoteness from local markets. 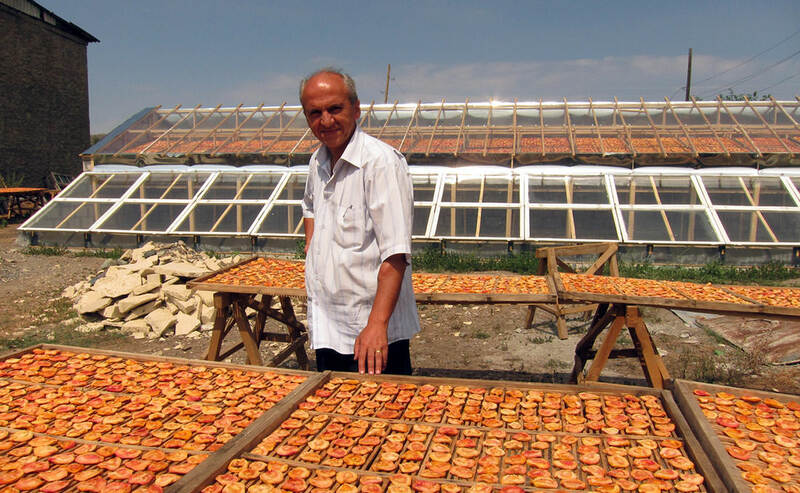 In August 2011, he produced his first batch, 5000 kilograms of dried peaches, using fresh peaches purchased from community members. During this process, Andranik developed key technological insights that will enable him to solve minor manufacturing glitches before the next production phase. He is planning to install a new $3,000 compartmentalized drying system, which will allow him to organize processing more effectively when there is less sunlight. Andranik’s fruit drying business is playing a critical role in creating jobs in the community, adding value to local production through processing, and getting local fruit production to market, where it increased income not only for himself but for all fruit producers in his community. With support from the Regional Employment Center of Tavush and with partial Center financing, Andranik has organized training for eight people to become workers in his dried fruit production business. He now employs fifteen people, all of whom he has trained personally. The managers of “STAR” and “Fresh” supermarkets evaluated his product and rated the quality as excellent, which surpassed the expectations of the producer and resellers. A preliminary agreement has been signed between them to buy Andranik’s entire crop of dried peaches in November 2011. Strong micro-enterprise growth continues throughout rural Armenia, where NEF and its partners have helped 30 businesses bring economic development to their struggling communities. Rural Armenia Economic Development project is a collaborative initiative of the Near East Foundation, the Gegharkunik Chamber of Commerce and Industry, and Business Pareta.